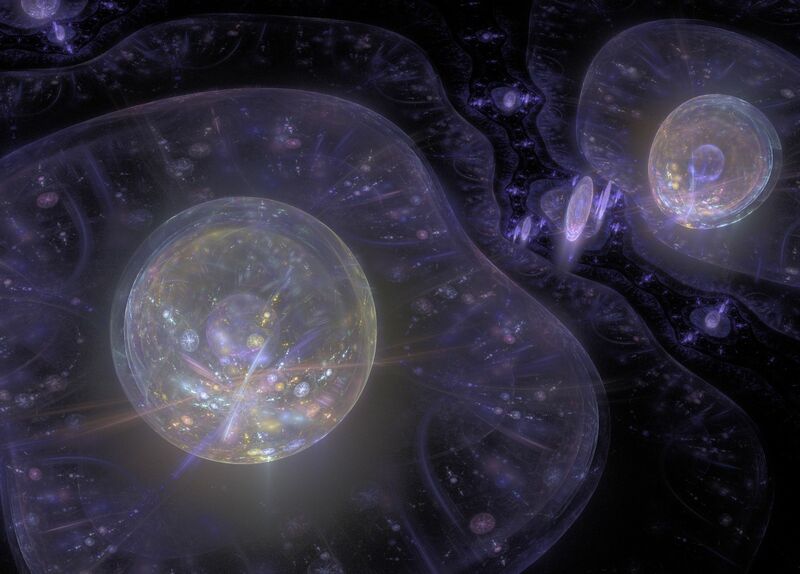 Is the Multiverse a Testable, Scientific Theory? Scientists differ among themselves regarding the scientific status of multiverse theories. Some, such as George Ellis, don’t think multiverse theories are testable, and hence not scientific. Others, think multiverse models are (or could be) testable, and hence are scientific. Many Christian apologists have sided with Ellis et al and rejected the multiverse as a valid scientific theory on the grounds that it is not testable. Some, including myself, have argued that multiverse theories are not based on the evidence, but ad hoc theories invented by cosmologists to get around the theistic implications of fine-tuning in physics. Jeff Zweerink from Reasons to Believe wrote a short article addressing the scientific nature of and foundation for multiverse theories. He argues that some multiverse models do make testable predictions (even if we are currently unable to test those predictions empirically), and thus should be “included in the realm of scientific investigation (while stopping short of taking a firm position on the demarcation question –whether multiverse theories qualify as scientific). [T]he current batch of multiverse models gained popularity primarily because they arose from investigations of other phenomena. Scientists did not simply invent a multiverse in order to explain away the beginning of the universe or to account for its life-friendly fine-tuning. The most popular multiverse model (a level II bubble multiverse filled with level I universes) arises from efforts to find an explanation for how inflation works. Granted the multiverse scenario arises after huge extrapolations of well-tested physical models, but most versions of inflation that produce a universe that looks like ours also produce a multiverse. Zweerink does note that multiverse theories are based on “huge extrapolations from known physics.” While multiverse theories may not be scientific fairy tales, they remain extremely speculative. While there may be some basis for proposing the possibility of a multiverse (string theory implies it, coupled with inflation), I still think it’s safe to say that their broad appeal in the scientific community is not based on the level of the evidence, but on their ability to answer the theistic implications of fine-tuning in physics. Surely, if the shoe was on the other foot, and it was the multiverse that pointed to theism rather than a single universe, scientists would be quick to dismiss the theists’ appeal to the possibility of a multiverse on the basis that it was extremely speculative and possibly untestable. But when it fares well for naturalism, suddenly the multiverse is eminently reasonable and scientific, and sufficiently answers the fine-tuning argument for theism. While I’m prepared to acknowledge that multiverse theories are scientific theories and not ad hoc, I’m still going to call a spade a spade. The reason multiverse models are only the rage in science is not because there is good empirical evidence for the multiverse (or even the theory that implies the multiverse – string theory), but because of the metaphysical work they purportedly do to advance naturalism. Indeed collisions do have measurable results. For every action there is an equal and opposite reaction. For instance, Earth’s Moon was formed by a slow velocity, direct collision between our planet and an astral body about the size of Mars billions of years ago in the early solar system. As an immediate result Earth lost much of its surface water volume and dense atmosphere. The impact caused the striking sphere to lose significant mass and eventually settle into its beneficent orbit around Earth as our Moon. The contention that asymmetries in cosmic microwave radiation are due to influence of a multiverse has arisen from analysis of recent data collected from the Planck telescope. Scientists had predicted cosmic microwave radiation should be evenly distributed. However, the data gathered demonstrates a stronger concentration in the south half of the sky plus a “cold spot” that eludes current understanding of physics. The hypothesis, advanced in 2005 by Laura Mersini – Houghton who is a theoretical physicist at the University of North Carolina at Chapel Hill and Richard Holman a professor at Carnegie Mellon University, asserts anomalies are caused by other universes pulling on our universe as it formed during the Big Bang. These forces might prove comparable in experience to the exertions that galaxies within certain ranges act upon each other in our own universe presently. These forces are elementally gravitational. Perhaps the forces at work accounting for these “distortions” in the CMR or in a supposed multiverse would be primarily electromagnetic such as those affecting plasmas in quantum theory. They would first need to be genuinely identified before they could be accurately quantified. As time progresses it’s possible to develop technologies for better discrimination concerning the cause & effect of these anomalies just as scientists developed the technology of the Planck telescope to even detect them in the first place. Jason, I’m thankful for the work of guys like Jeff Zweerink at Reasons to Believe, and Hugh Ross, and other Christian cosmologists, to carefully listen and weigh theories and what physicists, astrophysicists, and cosmologists are doing today. Nevertheless, I tend to side with you. Few scientists would want to admit it but there’s a whole lotta philosophy that goes on in the pages of the Scientific American and other magazines. How else do we get so many reams of articles based on purely theoretically speculative ideas or topics like: “Why humans evolved to love music.” As if! Christians do not have to be dead set against a multiverse, there is not necessarily a biblical reason to do so. It simply ups the philosophical ante: where did the multiverse come from? When I think of multiverses from a theological perspective my mind runs to CS Lewis and the Chronicles of Narnia, particularly the final book, The Last Battle, where the climax is the emptying of the saved “beings” from many worlds into the kingdom of Aslan (heaven!). Such a thing is pure speculation, but I think it is an interesting speculation. Cmoore2014, I agree. We have no theological reason to think that God could not have created a multiverse of some sort (although I think some versions of the multiverse may have some theological difficulties). It’s not theology that makes us skeptical of the multiverse, but the speculative nature of the science. Omerbashich, the gravitational wave evidence supports the theory of inflation, but does not prove eternal inflation or multiverses. Don’t confuse mathematical models with reality, and don’t confuse something being consistent with mathematical model X as being proof that mathematical model X is true. Jason Dulle – you’re not paying attention. Of course it proves multiverses. It’s all part of Linde’s package, you can’t unpack it. This isn’t about mathematical modeling. When I say proved mathematically I mean scientifically (mathematically and multi-physically). Several cosmological theories converged very closely over night, while instantly making most other cosmological theories obsolete: http://www.nature.com/news/gravitational-wave-finding-causes-spring-cleaning-in-physics-1.14910. Caltech’s Preskill just tweeted: “Linde: Those…who say…the multiverse does not have any experimental confirmation have not paid enough attention.” Linde stated that in the latest Scientific American: http://www.scientificamerican.com/article/multiverse-controversy-inflation-gravitational-waves. …just to clarify what’s meant by “Linde’s package”: Linde Inflation builds on infinite vacuum-energy concept (energy outside our known universe), meaning infinitely many universes (Multiverse) exist out there that came into being by the same or another token as our universe did. So by proving Linde (chaotic-type) inflation, you pretty much proved infinite multivereses concept, or as string theorists like Michio Kaku call it Hyperverse (as the totality of 10+1 dimensions, which I call stringdom). This is about infinity v. finiteness; or if you like: about No-personal-god v. Personal-god. Besides leaning towards the former concept (no divine intervention necessary, for everything anyways exists – from minus to plus infinity), this would also disprove Big Bang the way Lemaitre envisioned it, and downgrade it to a bang. Simple. I am paying attention. Confirmation of a multiverse would have much bigger news than this. This confirmed what general relativity predicted all along, and general relativity never predicted a multiverse. Inflation is consistent with a multiverse, but this does not prove a multiverse. Paying attention means noticing what Linde and many others are saying: it’s virtually impossible to have chaotic inflation w/o multiverse. There are explicit but then also implicit proofs too. You can use irrationalities like “bigger” v. “smaller news”, but don’t expect a response. I’d never take http://youtu.be/ZlfIVEy_YOA as an argument for validity even if it has nearly 3 million views. For what it’s worth, those who thought the gravitational wave finding proved the multiverse, the “discovery” is now being seriously questioned as a misreading of the data. See http://www.nature.com/news/big-bang-finding-challenged-1.15352. We lose perspective in our “single” Universe; how much more so in a Multiverse, an Omniverse? As Mr. Spock of Starship fame might say, “Fascinating”. Indeed just being able to recognize this perspective proves awesome; let alone understand its implications! Soon I will post the real reason why Jesus condemned the Scribes and the Pharisee and why this condemnation flows unto current born again Christians who think academia gets them off the hook. Be prepared to take a lesson from Jesus himself. If you can; if you let him; some of you will remain blind still. Who cares what anybody preaches about Jesus when someone knows the real Jesus of the bgible, without anybody else’s approval? Simple isn’t it. That’s “B(g)ible” in case anybody can’t figure the typo. Stretching the heavens: cosmic inflation [http://www.reasons.org/articles/cosmic-inflation-it-really-happened] & dark energy [http://map.gsfc.nasa.gov/universe/uni_accel.html]. Multiverse theory is no more testable that paranormal supernaturalism, angels, leprechauns and god theories.